Fr Molloy was ordained in 1933 and was professor of History and Geography at St Jarlath’s College until he was assigned to Belclare as CC in July 1945. In July 1957 he was transferred as CC to Robeen from which he was transferred in 1964 to become CC in Skehana following the death of Fr. Charles Gibbons. He was a brother of Milltown playwright Michael Joe Molloy and of Christy Molloy who was Principle of Milltown N.S. for a number of years. he also had a sister a nun, Sister Pious, in Rhodesia. While he was born in Milltown he spent much of his childhood with his aunts and uncle, a family called Tuckers in Claremorris where they had a shop. 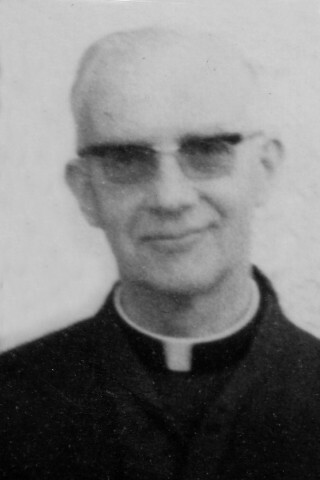 In 1970 he was appointed PP of the parish Killmena in Westport in February 1970 and ministered there until his death in 1980. He was best known for his criticism of communism and the social evils of the world. An avid listener to the World Service radio programmes he often invariably based his Sunday morning sermons on the atrocities befalling in practically every country and he continually condemned the perpetrators of bombings, assassinations and all human injustices. He was a regular contributor to the letters columns of the national newspapers and particularly ‘The Irish Times”. 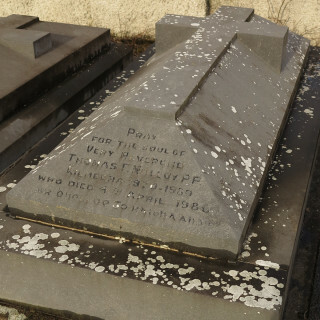 He is laid to rest in the grounds of Killmena Church. This page was added on 09/04/2015.